Verity Hampson is a lighting and projection designer for theatre, dance, opera, film and television. Verity has worked with many of Australia’s leading directors and choreographers including Judy Davis, Leticia Caceres, Lee Lewis, Imara Savage, Sarah Goodes, Anne Louise Sarks, Anthea Williams, Gale Edwards, Kate Champion, Meryl Tankard, Stuart Maunder, Sam Strong and Eamon Flack. Since graduating from NIDA, Verity has forged a formidable career, designing over 120 productions including the multiple award-winning productions: THE DROVER’S WIFE and FAITH HEALER (Belvoir); THE BLEEDING TREE (Griffin); AFTER DINNER and MACHINAL (Sydney Theatre Company); THE BOYS and THE FLOATING WORLD (Griffin); and Helpmann Award nominated productions of FLY AWAY PETER (Sydney Chamber Opera) and FLY (Token Events) national tour. Verity won two Sydney Theatre Awards for Best Mainstage Lighting Design - for BLACKIE BLACKIE BROWN (Sydney Theatre Company/ Malthouse Theatre) and for MACHINAL (Sydney Theatre Company). She received an Australian Production Design Guild Award nomination for Best Lighting Design for THE DROVER’S WIFE; and a co-nomination for Best Mainstage Design for BLACKIE BLACKIE BROWN. Verity won the Mike Walsh Fellowship which took her to Broadway to work with projection designers 59 Productions. Verity is nominated for three 2019 Green Room Awards. For theatre, Verity’s designs include: for Sydney Theatre Company, BLACKIE BLACKIE BROWN, AFTER DINNER, BATTLE OF WATERLOO, HAMLET: PRINCE OF SKIDMARK, MACHINAL, LITTLE MERCY, HAMLET, BEFORE/AFTER, LEVIATHAN, THE COMEDY OF ERRORS, TUSK TUSK (with ATYP), LIKE A FISHBONE, THE BEAUTY OF QUEEN LEANNE, ACCIDENTAL DEATH OF AN ANARCHIST, THE CRUCIBLE; for Queensland Theatre, DEATH OF A SALESMAN; for Belvoir, ENEMY OF THE PEOPLE, SAMI IN PARADISE, FAITH HEALER, RUBY’S WISH, THE DROVER’S WIFE, THE BLIND GIANT IS DANCING, IVANOV, IS THIS THING ON?, SMALL AND TIRED, THE BUSINESS, THAT FACE, THE GATES OF EGYPT; for B Sharp, THE SWEETEST THING, FOOL FOR LOVE, PARLOUR SONG, BLISS, LADY MACBETH OF MTSENSK, QUEEN C, A VIEW OF CONCRETE, THE MERCHANT OF VENICE, AN OAK TREE, 2,000 FEET AWAY, THE SMALL THINGS, PAN, DUCK, A FAMILY AFFAIR; for Griffin, A STRATEGIC PLAN, TURQUOISE ELEPHANT, THE BLEEDING TREE, MUSIC, BEACHED, THE BULL, THE MOON AND THE CORONET OF STARS, THE FLOATING WORLD, THE BOYS, THE NEW ELECTRIC BALLROOM, THIS YEAR’S ASHES, AND NO MORE SHALL WE PART, THE BROTHERS SIZE, ANGELA’S KITCHEN, CRESTFALLEN, WAY TO HEAVEN, REFERENCES TO SALVADORE DALI MAKE ME HOT, DEALING WITH CLAIRE, FAMILY STORIES, BELGRADE, THE COLD CHILD, LIVE ACTS ON STAGE; for ATYP, VX18504; for Bell Shakespeare, JULIUS CAESAR, LITERATI and A MIDSUMMER NIGHT’S DREAM; for La Boite, ONE THE BEAR, BLACKROCK, LA VOIX HUMANE; for Ensemble Theatre, THE ANZAC PROJECT, CLYBOURNE PARK, LIBERTY, EQUALITY, FRATERNITY, GREAT FALLS; for Malthouse, FIERY MAZE (with Sydney Festival); for National Theatre of Parramatta, JESUS WANTS ME FOR A SUNBEAM, FLIGHT PATHS, THE RED TREE, SWALLOW, PARAMATTA GIRLS and SAFETY IN NUMBERS; and for Sydney Dance Company, NEW BREED and PPY. Verity’s lighting for opera includes: for Sydney Chamber Opera, FLY AWAY PETER, IN THE PENAL COLONY; for Spectrum Now Festival, ORPHEUS AND EURYDICE at the Art Gallery of NSW; for Sydney Conservatorium, DAISY BATES AT OOLDEA, ORFEO ED EURIDICE, KING ARTHUR; and for Cre8ion, SOPRANOS, THE SHOW GIRLS OF OPERA. For television, Verity was lighting director for the ABC’s LIVE AT THE BASEMENT and THE ROAST; and THE CROWN PRINCE AWARDS for SBS. Verity is a partner in Vexran Productions, a design firm specialising in digital content generation and presentation for theatre. Productions designed by Vexran include: for Belvoir, MARK COLVIN’S KIDNEY and THE BLIND GIANT IS DANCING; for Sydney Theatre Company, LITTLE MERCY, BEFORE/AFTER, LEVIATHAN, LIKE A FISHBONE; for Griffin, THE TURQUOISE ELEPHANT and BEACHED; for Ensemble, LIBERTY, EQUALITY, FRATERNITY (co-design) and GREAT FALLS. 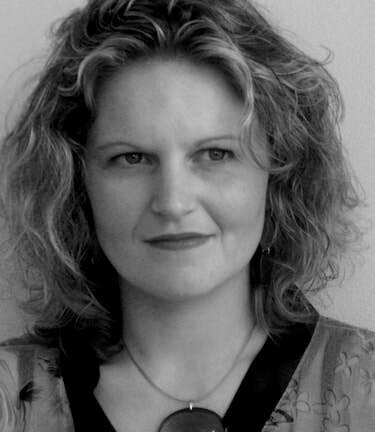 In 2019, Verity’s work includes DEATH OF A SALESMAN (Queensland Theatre); TITUS ANDRONICUS (Bell Shakespeare); WINYANBOGA YURINGA (Belvoir); WAKE IN FRIGHT, and BLACKIE BLACKIE BROWN (Malthouse Theatre); THE GOSPEL ACCORDING TO PAUL (Soft Tread); MADE TO MEASURE (Seymour Centre); BABY DOLL and FULLY COMMITTED (Ensemble); PLAYLIST (Sydney Opera House); and WOOF (Sydney Dance Company).